In the light of the increasing commercialisation of the major media gaining popularity - especially the more anonymous media are in focus. It is particularly the experience of lack of privacy, the more or less invisible collection of demographic and psychographic data and the increasing amount of advertising that has created the need and desire for new platforms. Evidence suggests that the new anonymous media are the future - even if they are still just a niche area when compared with Facebook. Here are 8 social media to watch in 2015 according to Journey9 and Social Media Today. Ello is one of the newest members of the social media and has gained popularity by promising not to sell data about its users. Some say that Ello has already closed, while others claim that it still exists and is on the up. 2) Snapchat - you have 8 seconds! Snapchat is an ”instant messaging program” for smartphones and tablets. This makes it possible to take photos, record videos and add text and drawings and send them to your friends. There are also opportunities for text and video chatting. The messages are visible for 8 seconds and then delete themselves. These messages are called "snaps". A bright future has been predicted for Snapchat, and especially the younger generations, who are of course the future, have already embraced this media. Tsu is a social media with a fairly revolutionary business idea. Users are rewarded for their activities and content – with financial gains. On Tsu you can earn on your content. 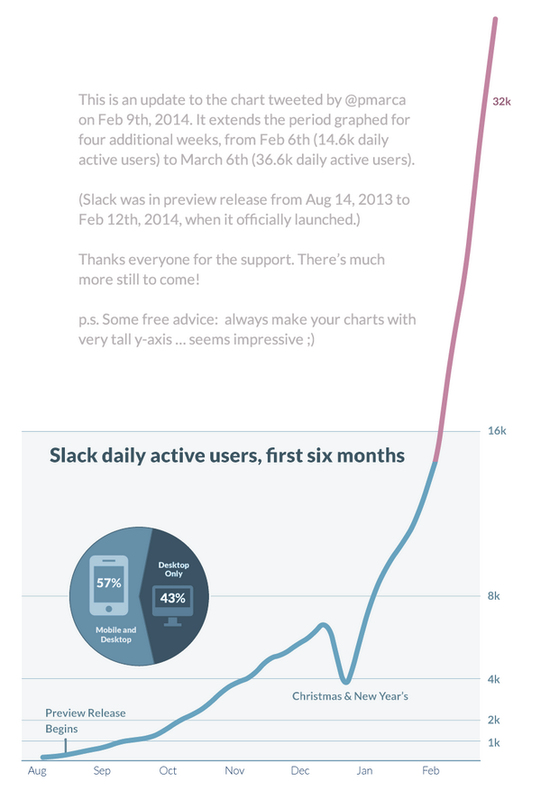 Slack is a new kind of work network, which is definitely worth watching. It combines information from different platforms, making it easier to share things and therefore automatically reduces e-mail volume and provides an overview of what you and your colleagues are doing. Slack has different channels (feeds) that you and your colleagues create together and which use the best features from e-mail and Facebook. A built-in chat feature allows you to avoid long correspondence formats. Slack has become so large in America that Facebook, according to Wired, is working on a Facebook Work-version, which is planned to be launched here in 2015. Yik Yak is an app that enables you to communicate anonymously with other Yik Yak users who are nearby - within a range of about 3 km – in other words those who are close to you geographically. The app is particularly popular in America, and especially schools and universities have jumped on the Yik Yak band wagon, where the whole thing functions a bit like a ”local noticeboard”. 6) Whisper - maybe you know me? Whisper is an app that allows people to send anonymous images with text to each other – kind of furtively - hence the name ”Whisper”. It appears rather like a place where you can share and offload your personal thoughts, but it’s definitely also a place that invites dating. Secret is an app that allows users to share messages anonymously among their circle of friends, friends of friends and public. It differs from other anonymous sharing apps like PostSecret, Whisper and Yik Yak in that it is designed to share messages mostly with friends and this makes it potentially more interesting and addictive to read the updates. Facebook clearly recognises the more anonymous media success – because every time something new and interesting surfaces, they buy it - as was the case with both Instagram and Whatsapp. Or Facebook goes on to create a supplementary version, as they have done with the app Rooms. Rooms is a private and anonymous chat forum allowing users with a common interest to establish small chatrooms - with no obligation to share their name or location. In the online social world, we are all authors – because everybody writes, or so says Ann Handley, MarketingProfs. So how can you make yourself stand out from the crowd of words? You do this with quality content. ”The author” has to really make a serious effort and focus on creating content that either creates interest or value in the target group. This applies to everyone - from the managing director to the marketing manager, sales manager, IT manager and customer service employee. Everybody tells the world who they are and what they can bring to the recipient and the market. It is essential that our words - your words - have to be ”good” currency if you want to achieve success in social media. As mentioned in the article ”Social Media - facts and trends” there is a growing focus on creating content in the languages your specific target audiences speak. So it is no longer sufficient to create quality content in just one language. To a great extent it’s about adapting and targeting the content at the various local markets - both linguistically and culturally. If you want to achieve success on social media platforms around the world, you really need a strategy and process to create good local campaigns. The anthropologist Bob Deutsch, who writes for Fast Company, believes that the most frequently asked question on social media is: ”Yes, and?”. Everyone on social media wants to be their own brand, to be presented and ”liked”, looked at followed and imitated. It's all about self-promotion - both for companies and for individuals. This is why brands have to focus on becoming part of the user's own story. Get them involved, create content they want to share and talk about, or even better - let them tell the stories you need. For several years, storytelling has been the direct route to consumers' wallets. For some time we have focused on linking a story to the product to separate the product from its competitors and created a direct ”signal value” to the buyer. This doesn’t hold water anymore. Storytelling alone is not enough. Today the story has to be bigger and move something in us. The demand from consumers is that a brand can offer a purpose that goes beyond the actual value of the product. As consumers, we are more concerned with what a brand stands for, who they are, and how the story fits into our own history and gives meaning to the life we want. The road to social media success has several keywords. One of these is empathy; an important keyword. Do you remember to include it when creating your communication? This is important since it is the user who is in the centre - or at least is supposed to be. It is all about his or her needs, wishes and dreams. To appeal to the user in the right way, you need to be relevant, humble, talented and contribute to making life better. Remember also that we are very used to being out on the social media, and we can smell far off if you are trying to sell us something. And remember - Today we share our views mercilessly with our colleagues, friends and friends of friends. When your company has posted something on Facebook, Twitter or LinkedIn, there has to be someone ready to respond to customer enquiries twenty-four seven. But according to Hootsuite, customer service staff today need to do more than just be able to recite ”the Lord's Prayer”. They also need to have a holistic view of the customer’s engagement. As far as customers are concerned, there is no difference between customer service and the rest of the company - for them it is all one and the same brand. We are bombarded with content, so why should we choose to read yours? Creating success on social media requires the right combination of communication, advertising and PR. Thorough segmentation, consumer knowledge and the ability to explain and clarify the purpose of product through well-formulated communication - in terms of words, images and sounds is more important than ever. On top of that, throw in some SEO and new knowledge from consumer digital tracks. And if you’re aiming for long-term success, Google BrandLabs suggests you need to ensure you have one person in charge of the company’s ”content” - who takes responsibility for the strategy, production and, last but not least, the quality. According to Cisco Systems and Copyblogger Media, a trend that we already saw on the rise in 2014, will become even greater in 2015: The use of humour. In line with companies trying to create an authentic online contact with their customers, especially with the new, power-spending Generation Y and ”Millennials”, more and more companies have become aware that an intelligent joke or a fun idea is the most effective way to obtain trust and loyalty. Humour should of course always used sparingly and carefully considered, but it is definitely a trend that is worth thinking into your strategy. When you communicate on social media, remember that most of the users read, post, write and answer from their mobile phones. This requires short concise messages and simple campaigns that take into account the media's advantages and disadvantages. And the ideal situation is if users can act directly from their phones without having to enter an external website. 10) You have to want it! It goes without saying that social media success does not happen overnight. 2015 will see companies continuing to step up their game to process, analyse and use data to create success. 68% of American organizations have a separate digital marketing budget, which represents approximately 25% of the total marketing budget. This figure is expected to increase in 2015. 98% of companies will step up their digital marketing game in 2015. 69% of companies are now spending more time on producing content than they did a year ago. Additional time and resources will be allocated in 2015. Everybody is gearing up because they really want it! So stepping up your game is a must if you want to be right at the forefront of the league.